Dubstep quickly broke into the music industry. This style can be found everywhere: in music videos, in movies and, of course, at concerts of popular artists. And now you can even download Dubstep for Android in the format of entertainment applications. We picked up several music programs that will allow you to make Dubstep. So, let’s get down to their consideration. Do you like to play Dubstep? Now it’s easier than ever! All you need is the imagination and the Dubstep Drum Pad Machine. Drumming always attracts the attention of musicians and those who like making music. Therefore, it is not surprising that the developers released a dubstep making toAndroidndroid, as this style of music is becoming more popular every day. So every Android device owner will be able to test himself in playing on drums. Recording the tracks that were actually lost and many others. Almost all samples are qualitatively and professionally selected. We recommend downloading Dubstep Drum Pads Machine on Android to spend your free time with pleasure, as well as to learn how to play the drums. Create your own musical compositions and demonstrate your achievements to friends and family. 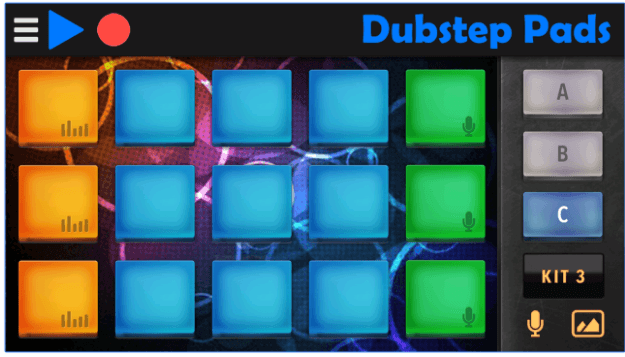 DJ Dubstep Music Maker Pad is one of the popular applications for Android in the Music & Audio category. It is a smart service for creating electronic music dub-step. At your disposal is a sound panel with 12 samples and multitouch, which will help you create your own tracks. The touch control of the sound panel is divided into 12 segments with different sound effects. The application can be used by everyone, regardless of the level of musical training. – You can use your own samples. 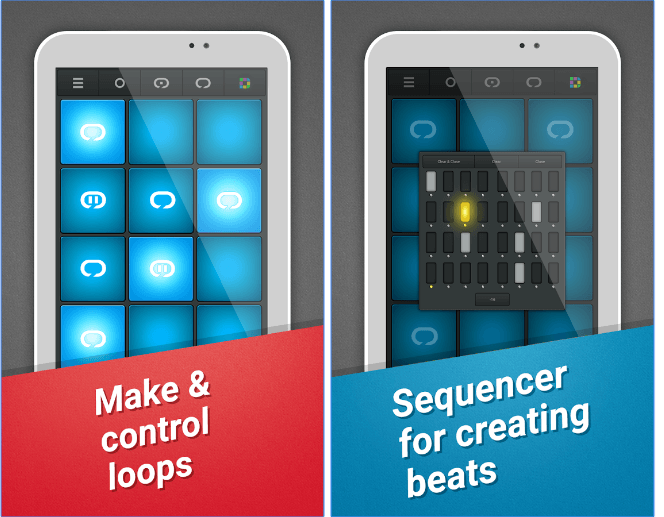 MixPads 2 is a free music application on Android that allows you to create musical masterpieces in the style of electronic music dubstep. Both experienced DJs and unskilled fans will like this program. The musical genre dubstep appeared in 2000 in London and immediately won millions of fans. 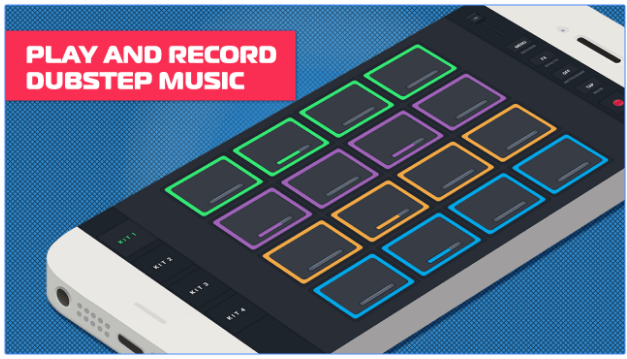 Thanks to the application on Android MixPads 2 you can create your own music. 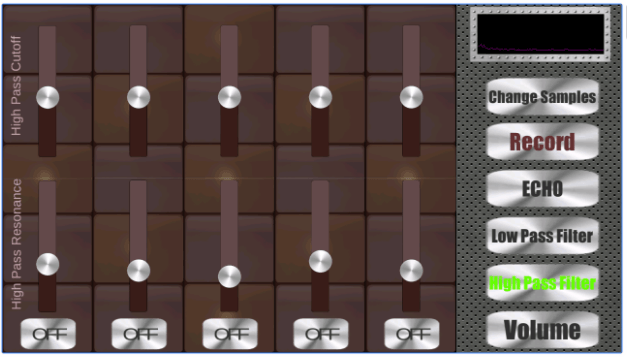 The application MixPads 2 has a convenient panel of samples. The interface is very responsive. As for the sound, everything is on the highest level. -developers are constantly adding new sounds. Dubstep Producer Pads is one of the popular services for making Dubstep music. It features 32 full-scale magnifying variants of various instruments, as well as 32 samples. They can be combined as you want. I’m sure that it will appeal to all fans of Dubstep, and even to creative people. The built-in metronome will help you to keep up with the rhythm, and several modes of the sampler operation (playback while holding Pad or when touching) opens unlimited possibilities for experiments. Gather the company and arrange a Live Session using several devices, of course, if you are not a human-orchestra. The app can be downloaded for free. 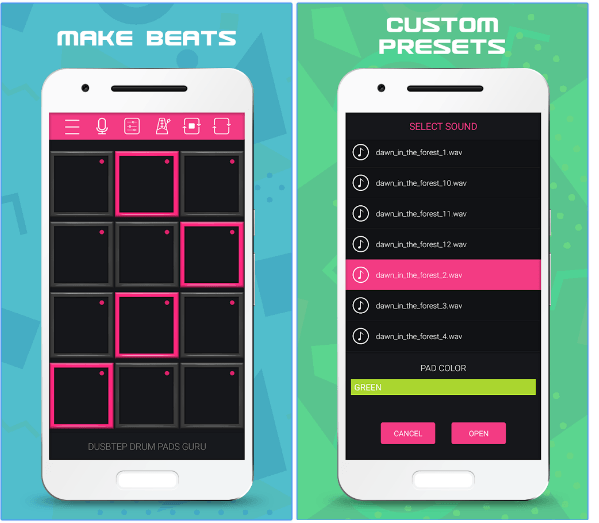 Dubstep Drum Pads Guru is an application that allows you to create music in the dubstep style directly on your Android mobile device. The Dubstep Drum Pads Guru app will definitely please Dubstep fans with sets of music bits and loops. It is not necessary to be a professional musician and have some specific knowledge to enjoy the program. It will give you a lot of pleasant sensations, regardless of your skills. The application is made in such a way that it easy combines powerful functionality and ease of use. Immediately after the startup, you will be offered to make several settings. This will affect the further sound. 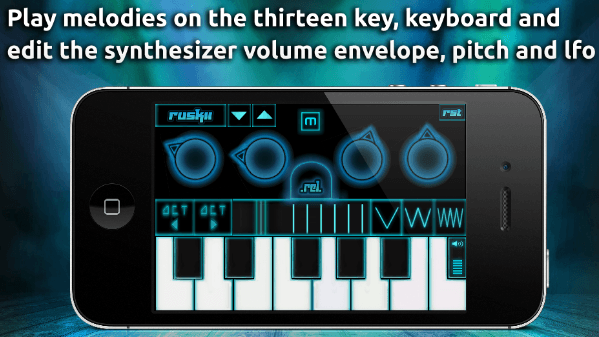 Already after the setup, virtual keys appear on the screen, with the help of which you can start creating your own unique compositions right in the app. Once you get used to the management, the process will be more confident. Dubstep Drum Pads 24 is an application that will allow you to create musical compositions in the style of Dubstep. It will be interesting even for those who do not have any special skills. The program is created exclusively for entertainment purposes and, unfortunately, or fortunately, cannot be considered a serious sound editor. Its main purpose is to help the user to pass the time and at the same time to receive moral satisfaction. The Dubstep Drum Pads 24 interface consists of just one window, in which there are twelve orange keys. “Clamping” these very keys you will add to your track a new musical effect. Thus, the user can independently “compose” different musical effects and create really interesting and original Dubstep-compositions. You can save your track to the memory of a portable device in MP3 format. Also, when you first start Dubstep Drum Pads 24 you will be asked to install other similar applications designed to create songs in other music genres. All of them, what is especially nice, are completely free. In general, we have an excellent application for those who love music in the style of Dubstep. You can create dubstep music using this smart app. It is easy to learn how to use Dubstep Pads. Every beginning musician will appreciate this service. Just pick up the right sounds and create! So, create an ideal rhythmic sample, using sound effects of 90 different drums, vocal and other sounds. If you love this musical genre, then you have the advantage. It has a lot of basses and drums. This application has the greatest functionality among its competitors. Dubstep Pads is an ideal variant for music enthusiasts and professionals. High resolutions of smartphones and tablets are supported. Independent developers from Dark Blood Studios continue to develop a series of applications dedicated to contemporary music. Dubstep Drum Pads is another novelty of the studio. Drum pads, a gamepad with a set of keys, customizable sounds, and recording capabilities are available for users. 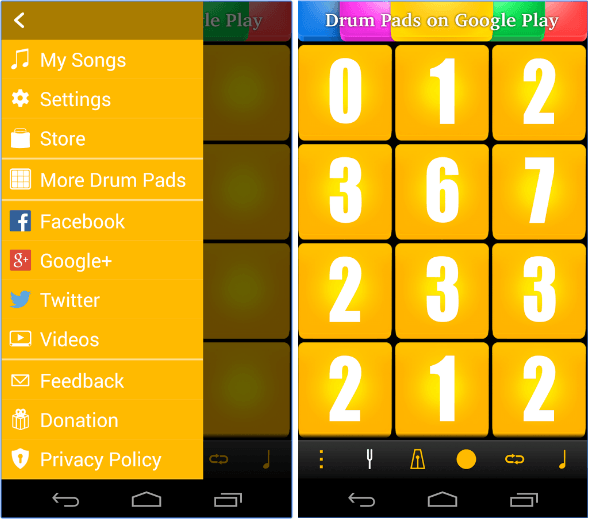 It remains only to find inspiration, download Dubstep Drum Pads to your Android and start to create the next masterpiece! The main user experience, of course, is connected with the process of creating your own tracks in the style of Dubstep. There are various sounds, background melodies, and special transitions, customizable as new ideas appear. The playing field in the application is represented by a glowing area, divided into squares. Each click on the squares is responsible for a specific sound, customizable in the main menu. Turn on a background melody, adjust the rhythm and start recording the music of the new generation! Any creativity will be evaluated by a strict jury. 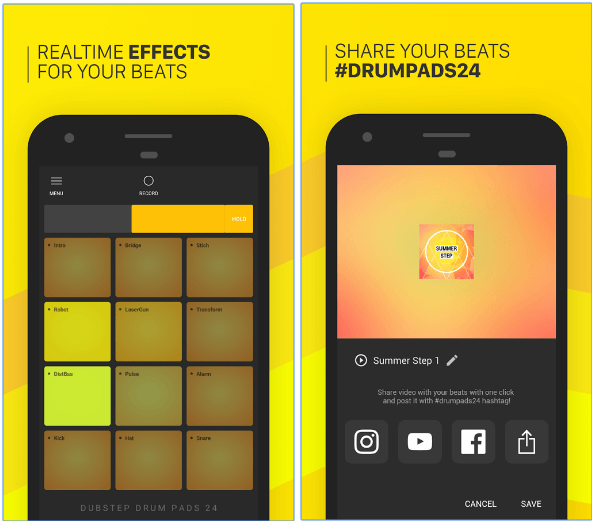 In the novelty of Dubstep Drum Pads for Android, it’s various social networks, where the program, at the request of users, spreads the resulting melody. Bass Drop Dubstep is an easy-to-use application that is ideal for fans of the dubstep genre, bass lovers, music lovers and just fans of good music. 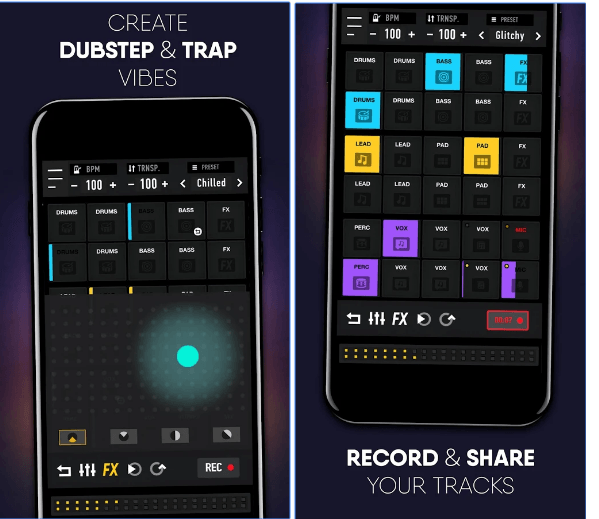 With it, you can create tracks in the style of dubstep in studio quality right on your phone. Volume control directly on the synthesizer.